We’re taking on the world together, Taylor Nation. Here at the Swift Agency, just a guy who never got that role in Les Misérables (damn you Anne Hathaway! ), we wish we could make it to every concert – but we got bills to pay. 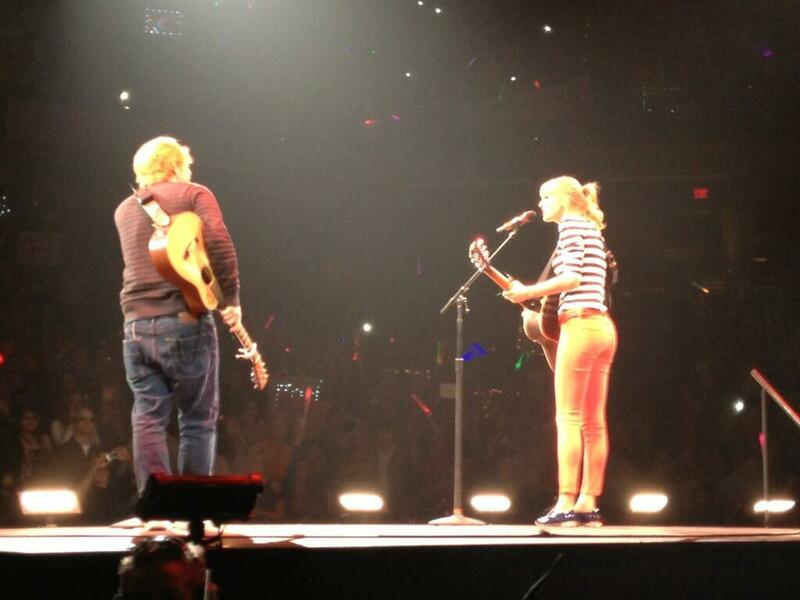 The Princess in Red was in top form last night, April 26, as the RED Tour took over Indianapolis, Indiana. This post is going to be an inside article because it’s a bit more revealing so, please click away now. On the other hand, if you’re looking for blatant spoilers, there’s a major video clip later on. Country 97.1 HANK FM was in attendance last night and shared some snapshots via Twitter. Thanks to Todd Reese for posting! “I write a lot of songs about my feelings,” the Sparkly Dressed said during her monologue last Friday night at sold-out Bankers Life Fieldhouse. “I’m told I have a lot of feelings.” According to Indystar.com, she knows she’s supposed to be pop culture’s breakup queen. The article called her performance “exceedingly fun and entertaining” specially during 22 and Sparks Fly. You can read more through the gallery at Indystar.com. And this is one big spoiler of a clip. 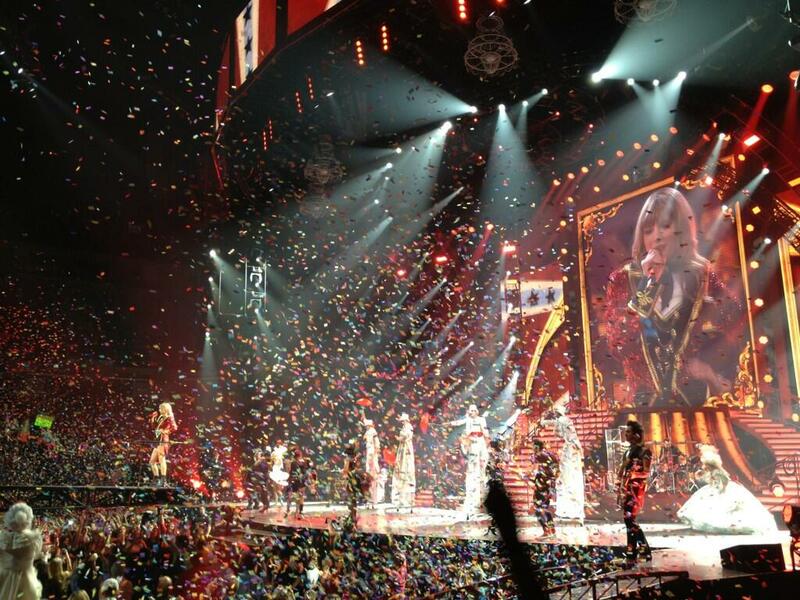 This is the RED Tour experience for a little girl named Ava in Cleveland, OH. Get your handkerchiefs out now. Major spoilers and waterfall alert here. MAJOR. There are clips of everything. Do NOT play this video unless you want to see most of the concert. Hope you are voting for Taylor Swift for the Billboard Milestone Award. The 2013 Billboard Music Awards take place on May 19. The Sparkly Dressed plays Lexington, Kentucky tonight, April 27. 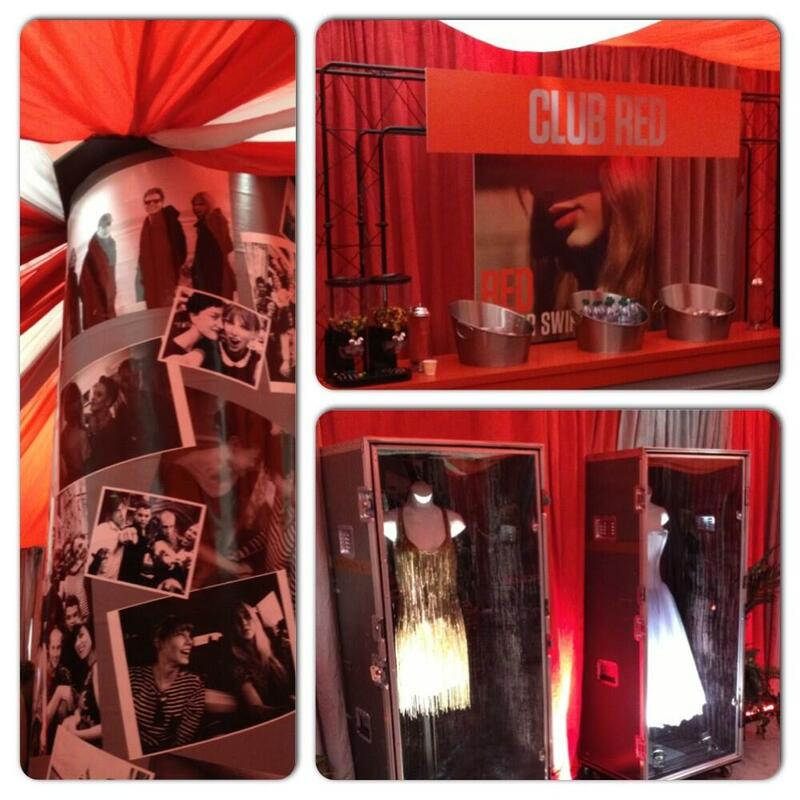 Here’s a peek into the room for Club RED, the impromptu post-performance gathering of randomly selected fans. Fans from the Fearless and Speak Now tours might remember it as the T-Party. thank you for the spoiler alert I almost watched it but will power! !